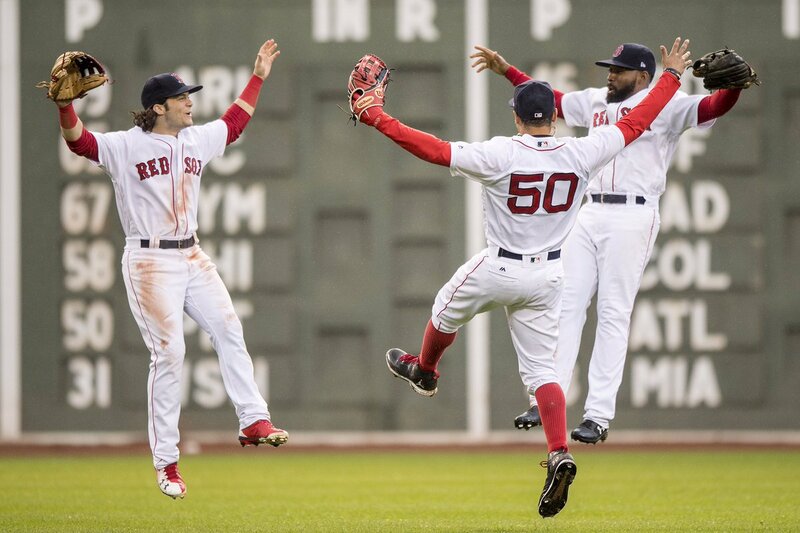 Saturday's win over the Astros changed the entire postseason outlook for the Red Sox. Allowed Chris Sale to not have to pitch Sunday, thus saving him for Game 1 Thursday in Houston. Eliminated any possibility of a tie-breaking game against the Yankees in the Bronx Monday. Kept Boston away from Cleveland in the first round. Drew Pomeranz went six innings for the win, his 17th of the season. He gave up one run on three hits and a pair of walks while striking out three in Boston's 6-3 win. Carson Smith came out for the seventh inning but couldn't get anyone out, allowing a run on three hits. David Price calmed the Fenway Faithful by striking out George Springer with the bases loaded to end the inning. The Red Sox scored a pair of runs in the bottom of the fourth inning on an RBI single by Hanley Ramirez and a run-scoring double by rookie Rafael Devers. They added three more in the fifth with Andrew Benintendi driving in one with a single and Mitch Moreland doubling home two more. Mookie Betts added some insurance with a solo home run in the seventh. This was the first time in team history the Red Sox have won the division in back-to-back years; John Farrell became the first Boston manager to win three divisional crowns. The Sox open the playoffs in Houston on Thursday.